John McDonald will familiarize participants with a vision for Grid Modernization, focusing on technological advancements beyond Smart Grid. The technological advancements include discussions of key industry/ societal trends, Smart Grid concepts, holistic solutions, integration of microgrids and distributed generation, and ADMS software applications. He'll also cover feeder automation business models, managing different types of data, big data, analytics, enterprise data management, Smart Grid standards and interoperability, and Smart Grid deployments and lessons learned. Mr. McDonald is an award-winning industry leader, technical expert, educator, and speaker who currently serves as the Smart Grid Business Development Leader for GE Power's Grid Solutions business. He possesses more than four decades of experience in the electric utility industry. 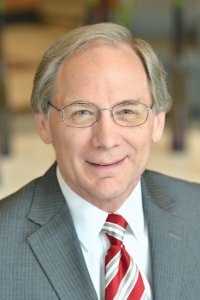 Mr. McDonald served on the Board of Governors of the IEEE Standards Association, chaired the Smart Grid Interoperability Panel's Governing Board (2010-2015) and is a member of the NIST Smart Grid Advisory Committee. He has provided leadership to numerous national professional and academic societies and committees, including serving as President of the IEEE Power & Energy Society and on the IEEE Board of Directors. Mr. McDonald holds B.S.E.E. and M.S.E.E. (Power Engineering) degrees from Purdue University, and an M.B.A. (Finance) degree from the University of California-Berkeley. He is a Life Fellow of IEEE and has won numerous awards and recognition for his contributions to the electric industry. He has published 100 articles and papers and co-authored five books.